View the e-Update in your browser by clicking here. Twice a month the NC STEM Center provides an e-update on what’s happening in STEM education in North Carolina and beyond, and the latest edition is now available for you. 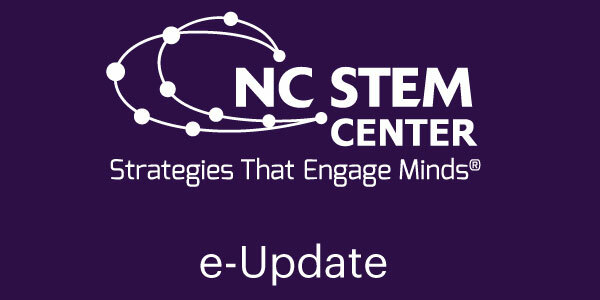 Twice a month the NC STEM Center provides an e-update on what’s happening in STEM throughout North Carolina and beyond, and the latest edition is now available for you. Thank you for joining us this year at the annual SMT Celebration. Here is a playlist of the videos shown at the celebration. Twice a month the NC STEM Center provides an e-update on what’s happening in STEM in North Carolina, and our latest edition is now available for you. 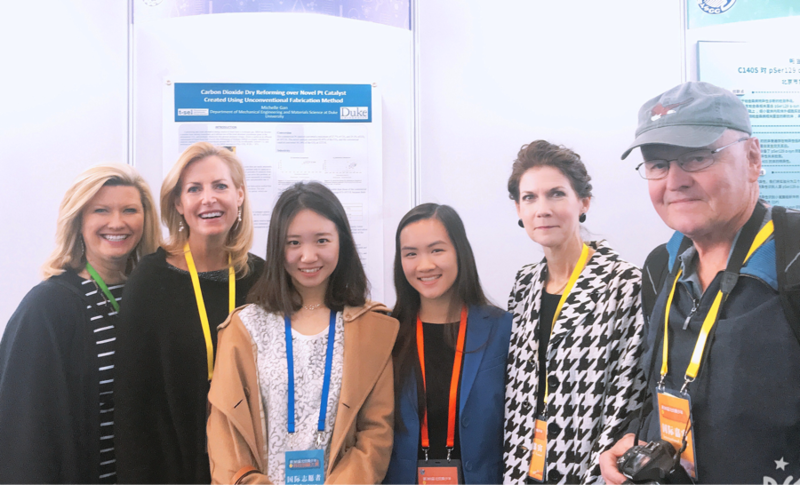 This week the student finalists of the North Carolina International Science Challenge traveled to Beijing to present their research. 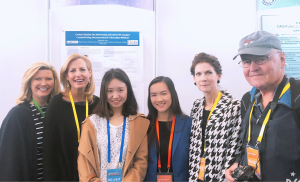 A part of the ongoing partnership with the Beijing Association of Science and Technology (BAST) since 2006, the high school researchers are taking part in the Beijing Youth Science Creation Competition. More than 50 North Carolina students have participated in the international program. Blogging for the SMT Center from the competition, Ritvik Bodducherla, a student from the North Carolina School of Science and Mathematics wrote about language barriers in presenting his research on ellagic acid. Today was especially interesting, because it was the day for the public to view our projects. I saw lots of young Chinese students interested in science. The day was especially challenging because many of the students and visitors had some knowledge of English, but they were not completely fluent. This meant I had to break my research down to kindergarten vocabulary, which was incredibly challenging. However, I really enjoyed seeing all these people who wanted to know what my research was about, despite the obvious language barrier. We then took a bus to the West Campus, where interactive science displays were set up. We used 3D printing pens to design masks, but there were also stations with make-your-own catapults, robots, virtual reality, and more. After all of my judges came around I got a chance to explore the competition and go to the mini maker fair. I met some of the people from the delegations from Australia and Israel and talked to them for a while as well. The mini maker fair was really cool and had some very creative and impressive projects. I was also blown away by some of the other research projects there. For example, one group had come up with a method to help detect silent heart attacks. A promising young scientist, a middle school student from Macao summed it up perfectly at the end of his presentation this afternoon about the need for importance of scientific innovation and discovery. The North Carolina Alliance for School Leadership Development (NCASLD) and the North Carolina School Superintendents’ Association (NCSSA) have announced the selection of the following as the recipients of the inaugural Dr. Samuel Houston Leadership Award. Dr. Ve-Lecia Council, Assistant Superintendent of the Pitt County Schools; Dr. Jeremy Gibbs, Chief Academic Officer, Transylvania County Schools; Dr. Heather Mullins, Chief Academic Officer of the Newton-Conover City Schools and Dr. Otis Smallwood, Assistant Superintendent of the Jones County Schools – each received recognition. This annual award is presented to a graduate or graduates of the North Carolina Alliance for School Leadership Development’s Aspiring Superintendent Program, a program which is designed to empower transformational education leaders for North Carolina’s public schools. The award is named in honor of Dr. Samuel Houston, the current president and Chief Executive Officer of the North Carolina Science, Mathematics, and Technology Education (SMT) Center. Dr. Houston served as superintendent of the Mooresville Graded School District for 10 years where he opened the first year-round school in North Carolina. Dr. Houston also has been a champion for strategic planning, student performance and accountability, meeting the needs of the 21st century workforce, skills for the STEM world and building education partnerships. Additionally, Dr. Houston was the first executive director of the University of North Carolina Center for Leadership Development. Dr. Houston was awarded the Jay Robinson Leadership Award as an Exemplary Educator for his outstanding contributions to statewide public K -12 education. He also earned the RJR-Nabisco Foundation’s China Breaker Award for implementing educational change. He has been inducted into the Appalachian State University Reich College of Education’s Rhododendron Society and the East Carolina University’s Education Hall of Fame and has received the Distinguished Career Award from the University of North Carolina – Greensboro School of Education. NCSSA Executive Director Jack Hoke said Dr. Council, Dr. Gibbbs, Dr. Mullins and Dr. Smallwood exemplify the traits that guide Dr. Sam Houston’s career in educational leadership. They have a commitment to continuous improvement, high standards of ethical conduct, strategic planning, improving student performance and meeting the needs of the 21st century workforce. I am very proud of these Dr. Sam Houston Leadership Award winners and look forward to seeing them progress in educational leadership. Each award winner was presented a check for $1,000 to be used for personal professional development.